Michael is of English and Italian origin raised between London/Naples and born to a family of Italian musicians, opera singers, also his mother was a top London based Italian Coach. He speaks 3 languages fluently: English, Italian, French. In addition he has a strong knowledge of Neapolitan dialect and some basic German. Michael’s directing career began in drama and he graduated with a distinction in his ‘directing’ exam, as part of his BA Joint honors in Drama/English.Lit from Surrey University. After finishing University, Michael was awarded a first time scholarship by the Italian Institute of Culture to study theatre in Milan following an invitation by The Piccolo Teatro to study under Giorgio Strehler and Luca Ronconi and then moved to Firenze to work as an assistant for the Maggio Musicale. Michael recently had his German debut in the Autumn of 2015, when he had the great honor of directing 'Hansel and Gretel' for the Oldenburg Statstheatre. Due to the production's huge public and critical success, with all performances sold out, Michael was also invited back to direct 'Sweeney Todd'. Due to their success, Hansel and Sweeney will now be revived in the autumn of 2017 and run simultaneously, for their third and second revival respectively. Other opera productions include: Silkmoth (specially commissioned one woman opera on the topic of Honor Killings). L’Ajo Nell’Embarazzo Opera Barga, Xerxes OTC Ireland, La Voix Humaine Wexford Festival. For New Sussex Opera: Hugh the Drover and The Poisoned Kiss (UK Premiere) both by Vaughn Williams. Falstaff, Lucia de Lammermoor, Tobias and the Angel by Johnathen Dove, Il Cappello di Paglia (UK premier) by Nino Rota and Cabaretby John Kander-for Trinity College of Music, La Traviata-Guildford Opera. After an invitation by Scottish Opera to become a staff assistant, Michael began his Opera career. Since then, Michael has worked with some of Europe's top opera companies: Theatre an Der Wien, (where last Autumn he was co-director on their 10th anniversary production of Don Giovanni, originally directed by Keith Warner)La Monnaie Brussels,, Royal Theatre Cophenhagen, Opera North, ENO, St.Cecilia Rome, Spoletto Festival, Torino Reggio, Opera Zuid, Opera Ireland, Theatre Naradowa Warsaw, City of Birmingham Opera, and most recently Associate/Revival director on the Covent Garden Opera Ring Cycles 2012/2018. One major highlight as an assistant/revival director came when Michael was asked to stage 'Walkure' at the Royal Albert Hall BBC proms and broadcast live. The event was conducted by Sir Tony Pappano and sung by Bryn Terfel, Placido Domingo, Waltraute Meier, Lisa Gasteen. 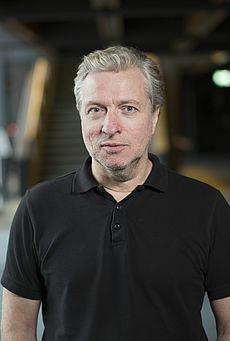 He has also worked as director in the following opera schools and conservatoires: Royal Academy of Music, Royal College of Music London, Birbeck University Performance course, Birmingham Conservatoire, where he directed opera scenes and ran stage craft courses.